Finding aid only for Manuscripts Small Collection 2749. Letters (3) to her sister of Nancy A. Wier, written from Union County, Kentucky, and from Webster County, Kentucky under her remarried name of Nancy A. Martin; and letter to her aunt of Mollie Wier, written from Cadiz, Kentucky. Nancy writes of her health and both husbands and children, and asks about family members; she also mentions having seen a coal mine in Union County. Mollie writes of her siblings and other family, and mentions her brother Henry’s death in the army. 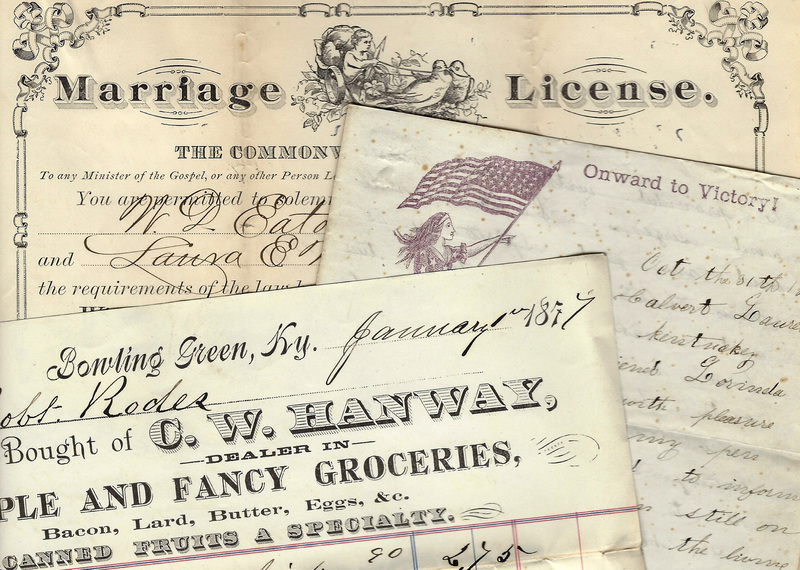 Folklife Archives, Manuscripts &, "Wier Family Letters (SC 2749)" (2013). MSS Finding Aids. Paper 3054.